All children who are part of our program and require it, receive rehabilitation therapy from our local therapists. 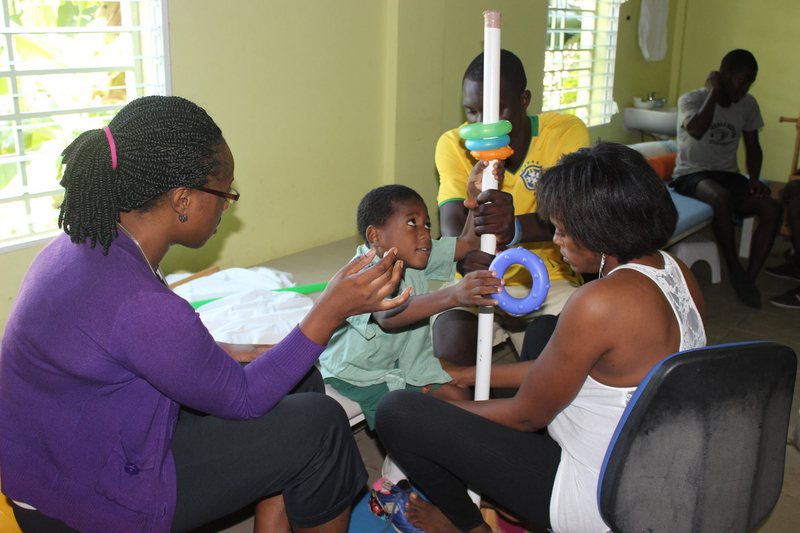 These therapists are expertly trained by volunteer physiotherapists who continue to ensure that our Special Needs Program provides the best possible service to the children. With your help we have been able to maintain and expand this training program which now also helps train Haitian Therapists in other areas of Haiti. Through these efforts we are making our program more self-sustainable and increasing Haiti’s capacity to become more self-reliant in the provision of therapeutic health care to its citizens with special needs.